For you Anglophones out there, I have to clarify that “7 places” is not a metaphor for seven places I have been or seven places you should visit before you die, but is in fact a type of transport. 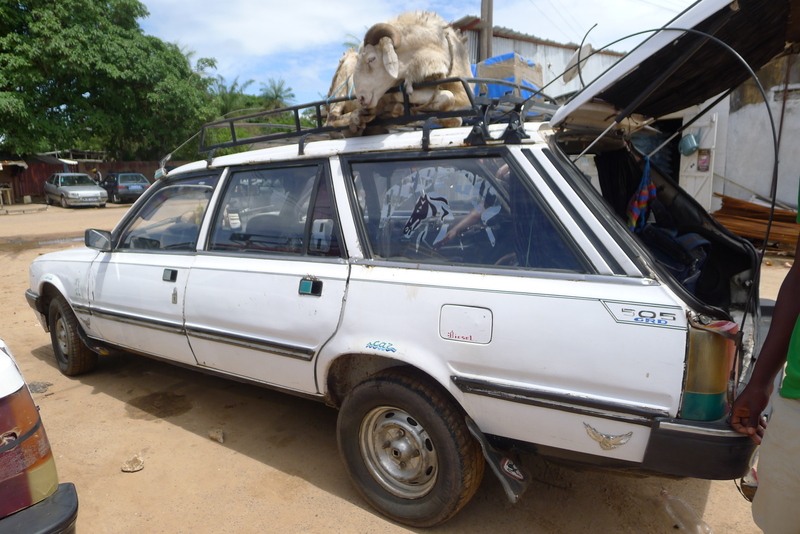 A Peugot 505 to be precise — better know to the Senegalese as the best way to get around if you want to go long distances in the country. The view from my back window. And yes, that goat is going on top of the car. As an American, I don’t have much experience with Peugots so when I first read about this intriguing form of transport, I pictured in my mind a jeep-like vehicle that could comfortable fit 7 people and all their luggage. Needless to say, I was a little off. 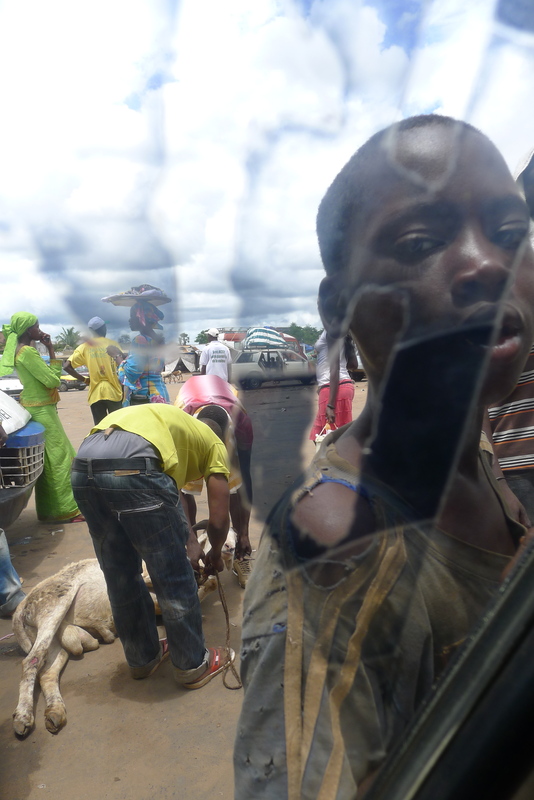 Add a goat, some creepy looking fruit (that is my official name for them), no A/C, and an immensely potholed road, and you have a cultural experience that everyone visiting Senegal must partake in at least once. Although, once might be enough. Finally there, and it looks like the goat made it too.